The fanciest frolic of fastachi's nut varieties fuse to create a strongly intense union characteristic only of a divine nut-tasting experience. The fanciest frolic of fastachi's nut varieties: cashews, pistachio kernels, hazelnuts and almonds, fuse to create a strongly intense union characteristic only of a divine nut-tasting experience. A combination of the nutritious and healthy nuts. 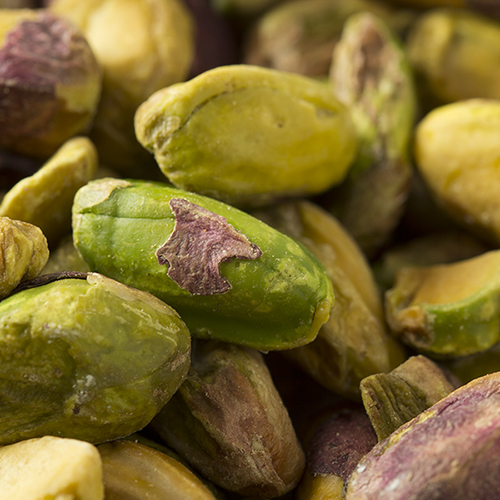 We've picked just the right nuts to provide you with the best variety of nutrients and antioxidants. All you need is a small portion between meals to maximize the benefits. NUTRITION FACTS: Serv. Size: about 1/4 cup (28g). Amount Per Serving: Calories 180, Fat Cal. 130, Total Fat 14g (22% DV), Sat. Fat 1.5g (8% DV), Trans Fat 0g, Sodium 85mg (4% DV), Total Carb. 7g (2% DV), Fiber 2g (10% DV), Sugars 2g, Protein 5g, Calcium (4% DV), Iron (8% DV). Not a significant source of Cholest., Vitamin A or Vitamin C. Percent Daily Values (DV) are based on a 2,000 calorie diet. 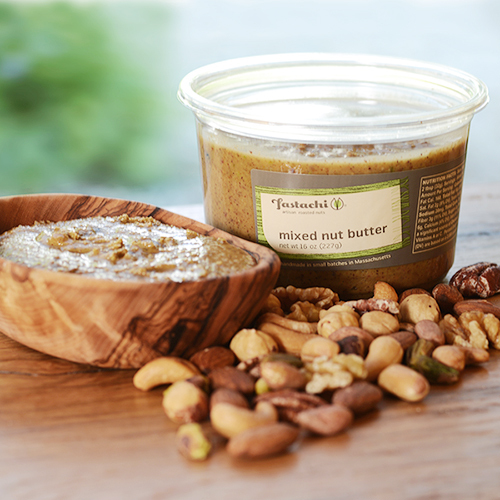 INGREDIENTS: ALMONDS, PISTACHIOS, CASHEWS (CASHEW, PEANUT OIL, SALT), HAZELNUTS, SALT. I love your products!! I learned about them while visiting Boston, in December, and have been consistently ordering since then. The items are always fresh and the delivery is so quick. I have spoken to customer service one time as an item was not shipped, they were extremely polite and I received my order in less than a week. I even ship some time my son who is stationed over seas. Thank you! Love the nut mix. Very fresh and tasty. Would buy again. Bought the SUPER NUT MIX in the delightful store in the Beacon Hill neighborhood during a trip to Boston. They were the perfect combination of salt and crunch. Loved them so much i ordered more online. Favorite snack! 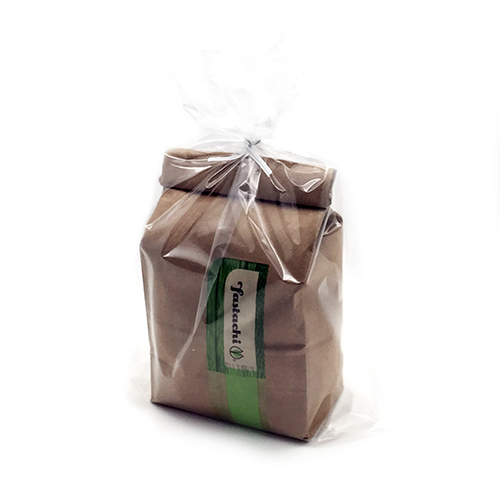 I have been buying nuts from Fastachi for years, and their products are wonderful. I love the Super Nut Mix and raw almonds but everything I try is superb! We tried mixing Super Nuts into plain Greek yogurt. It's a wonderful combination. Super Nuts, mixed with Fastachi dried cherries, are also a great add-in to breakfast cereal. These are my absolutes favorites and I have been ordering them and enjoying them for years! 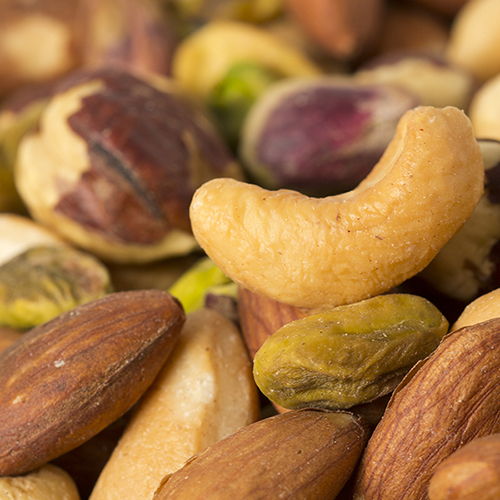 This mix has the perfect balance of nuts, roasted to perfection. I don't know how Fastachi manages to keep nuts crisp, but I'm glad for it. These are the perfect texture and flavor. I love hazelnuts, but their flavor definitely predominates in this mix. 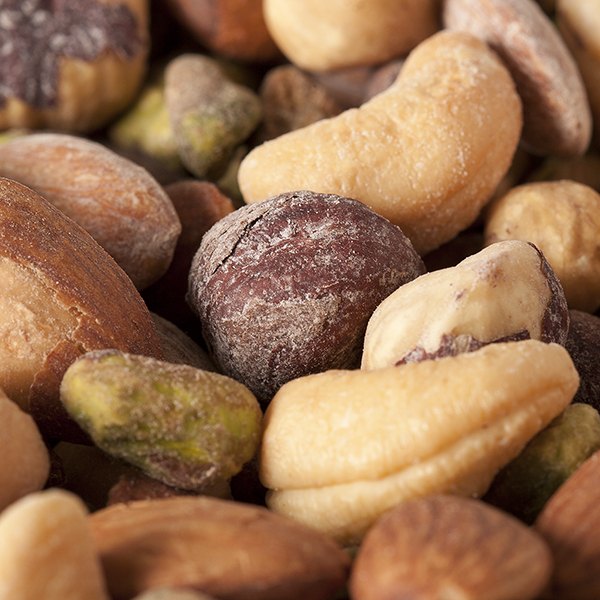 Crunchy, fresh-tasting and good for you--all you could want in a nut mix. I got my husband this nut mix for his b'day; he is really enjoying it. Just the right amount of salt and so much fresher than the stuff packaged/sold by the big food companies. Crunchy, delicious and satisfying. Always fresh. Thank you for prompt delivery and freshness of the excellent choices of nuts, packed nicely to stay fresh, enjoyed it very much. the best nut mixes ever, great service, great quality and taste! still the best!! I have tasted several competators and they have all fallen by the wayside! Love this nut mix! Plus, Fastachi has the best customer service in the Universe! Quality products, great service and wonderful people. What more could you ask for! I know, more!!!!! My dad says few words.. a quote from him " VERY GOOD!" These are the best mix nuts. Have brought them to several family occasions where everyone enjoyed them. Best nut mix. Store bought cannot compare and. The prIce, with shipping, is comparable. We have been ordering this for years and it is always fresh and delicious! highest quality! roasted in small batches. Healthy, not oily. Outstanding nut mix! The nuts are all so big and fresh, the flavor is great. Just ordered more. ONE OF THE BEST NUT MIXES ANYWHERE, FOREIGN OR DOMESTIC. EXCELLENT - YUMMY, YUMMY. My absolute favorite! I have been eating trail mixes for 25 years, and this mix is the best! The nuts taste fresh and crunchy. The ratio of nut variety and generous amount of pistacios (which I was impressed by) is a perfect mix! Terrific. It is one of our favorites. I would say the best mix nut yet. Always very fresh and lightly salted.